On Sunday, April 14th, the National Weather Service issued a Tornado Watch early evening leading into the dawns of the night and ending around 4am for many Maryland Counties. Around 2:45am, the Southern area of St. Mary's County Tornado Watch was turned into a Tornado Warning and residents were advised to take immediate shelter. SERVPRO of St. Mary's and Calvert Counties urges the importance of knowing the difference between a Tornado Watch and a Tornado Warning and the precautions you should take. If your area is heading into the night with a Tornado Watch in affect, make sure you have a way to get alerts while you are sleeping. Have your phone set up to get emergency alerts and listen for the Fire Departments siren. If moisture finds its way into your home, mold can quickly take over in as little as 48 hours. Mold can be a major health risk and cause signficiant damage to your St. Mary's and Calvert Counties homes. Mold is not always seen. Mold can hide behind drywall or under carpeting and can be noticed by a strong musty odor. If you suspect mold in your home do not hesitate to call SERVPRO of St. Mary's and Calvert Counties. We have the training, equipment and expertise to make it "Like it never even happened." and will be there in no time. Talk about a flash back! This photograph was taken with SERVPRO of St. Mary's and Calvert Counties original sign back in 1984, located on their present office on 235. Photographed is the owner Vince Whittles, with five of the first employees to ever work for him. Three of the six photographed are still with us today, but with a little more grey hair. Vince (second one on the left) has been the Owner of SERVPRO of St. Mary's and Calvert Counties for the past 35 years, with many years to come. Frank Turner (furthest one from the right) started back in 1991 as the Production Manager and still is 28 years later. Eddy Farell (last one on the left) has been with us since 1996 making 22 years as Duct Cleaning Production Manager. 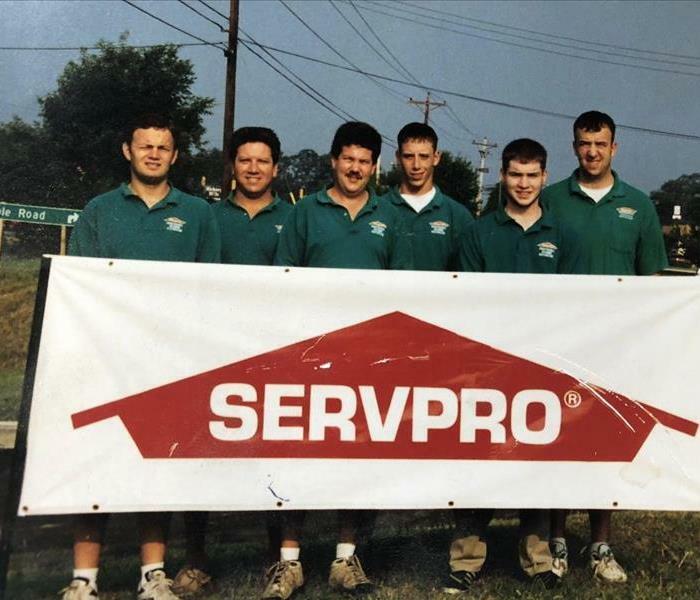 Since this photo, SERVPRO of St. Mary's and Calvert Counties has grown significantly through excellent costumer service and dedication to the brand. Having employees still with us from the start, we can definitely say that we are one of the most experienced restoration companies in Maryland. We are excited about the future for SERVPRO of St. Mary's and Calvert Counties as we get ready for our next move into a larger facility. Relocating to a larger facility in the area will allow us to provide even better services for our customers and allow us to build our brand, SERVPRO of St. Mary's and Calvert Counties, even larger. Is That Thunder You Hear in Southern Maryland? With May being right around the corner, it is time to start preparing yourself for the season of thunderstorms here in Southern Maryland. 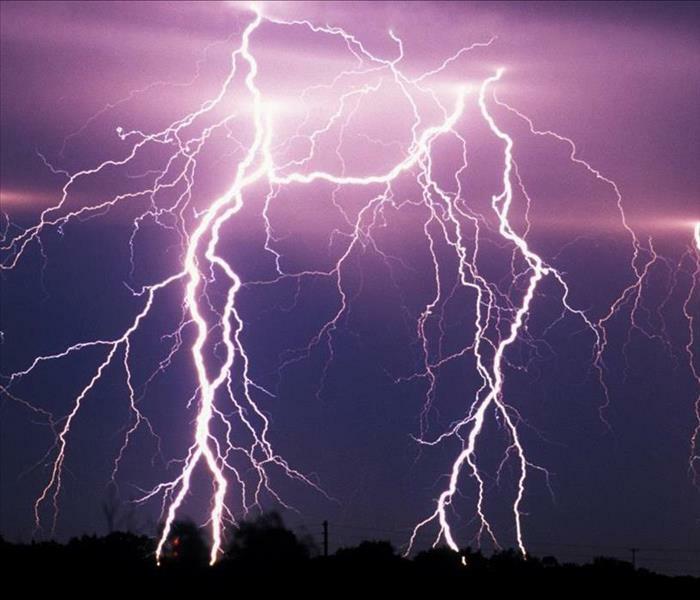 While thunderstorm can happen at any time of the year, they are most common within in the months of May - August. A thunderstorm is considered severe when it contains one or more of the following: winds 57.5 mph or above, hail one inch or greater or a tornado. 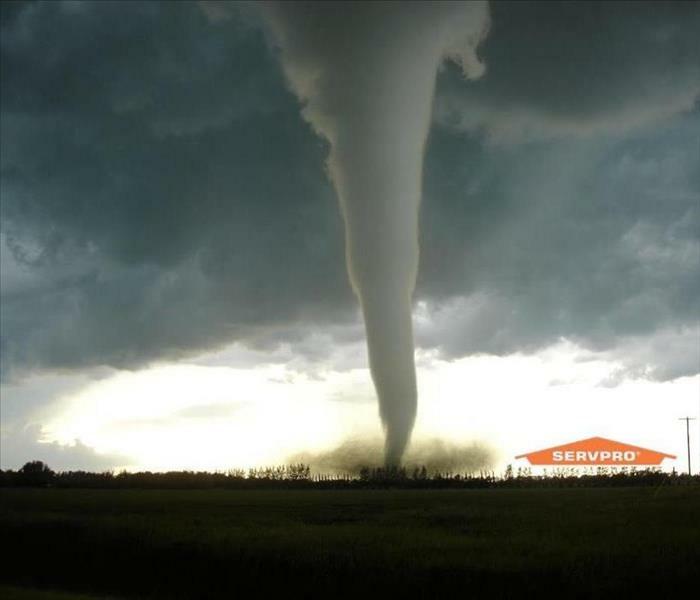 Here at SERVPRO of St. Mary's and Calvert Counties we want you to be safe during all storms! When you hear thunder, go inside! What Should You Do If A Fire Has Happened? Fires are devastating. They leave a hopeless feeling and worry of what you should do after the flames are extinguished. All you can see is the soot and smoke damage that is left behind on your ceilings, walls, carpet and floors. SERVPRO of St. Mary's and Calvert Counties see your property restored to back to pre-fire. If your home or business has suffered a fire it is important that appropriate steps are taken in order to prevent further damage. SERVPRO of St. Mary's and Calvert Counties wants to make sure that your property has a successful restoration, therefore, we would like to provide you with some helpful tips. Place clean towels or old linens on rugs, upholstery and carpets. Keep hands clean to not further soil upholstery, walls and woodwork. It is also important to know what NOT to do after a fire to ensure you are not further damaging your property. Do NOT send garments to an ordinary dry cleaner. Improper cleaning could set smoke odor. In an event of a fire call, SERVPRO of St. Mary's and Calvert Counties, to ensure that your property is in great hands and follow our tips for a successful restoration. Over 2,900 house fires are reported each year with the cause being a clothes dryer. Leading to an estimated 5 deaths, 100 injuries and $35 million in property damage. It is important to know how to keep yourself safe from fire. Regular cleaning and maintenance can be the simple solution to protecting your family and home. Knowing when and how often is a key step. First - you want to have your dryer is properly installed. Have a professional make sure the correct plug and outlet are being used and that it is connected correctly. Before Each Load - make sure that you clean the lint filter out before each load. 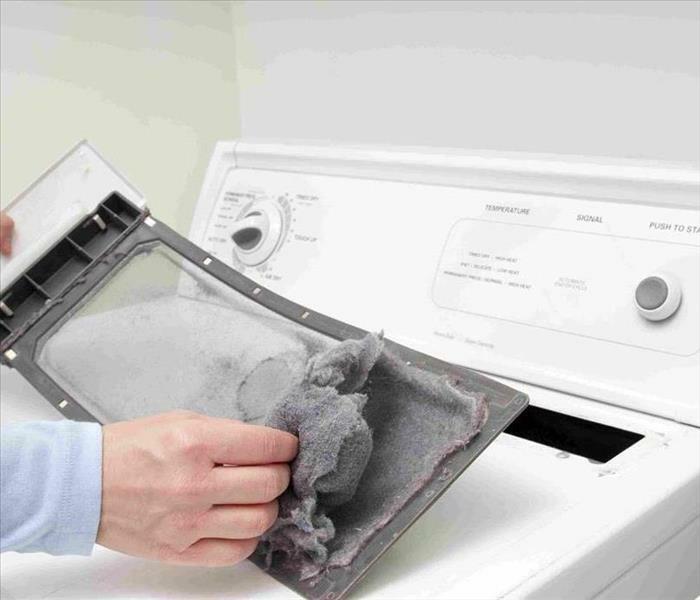 Cleaning the lint filter is simple; all you have to do is pull the screen out a wipe the lint out. If it seems that the filter is clogged, submerge it into hot water and use a bristle brush to remove any excess lint. Check areas around the dryer to make sure there is no lint being built up. Every Three Months - remove the lint from the lint pipe which is usually located behind the dryer and can be removed. Taking a damp wash cloth can help make sure any remaining lint is cleaned out. If your clothes seem to be taking longer to dry call a professional to come inspect your dryer. Spring is here! The weather is getting warmer, birds are chirping in the morning and trees are starting to get their color back. Does it not make you want to jump into a cool pool!? Well of course that being outside and not in your home or business. We all know, here in Southern Maryland our Spring weather typically brings a decent amount of rain. Often times rain can show problems within our homes or business that we did not know were there. Such as, holes in your roof which can lead to water damage and flooding in your basement. 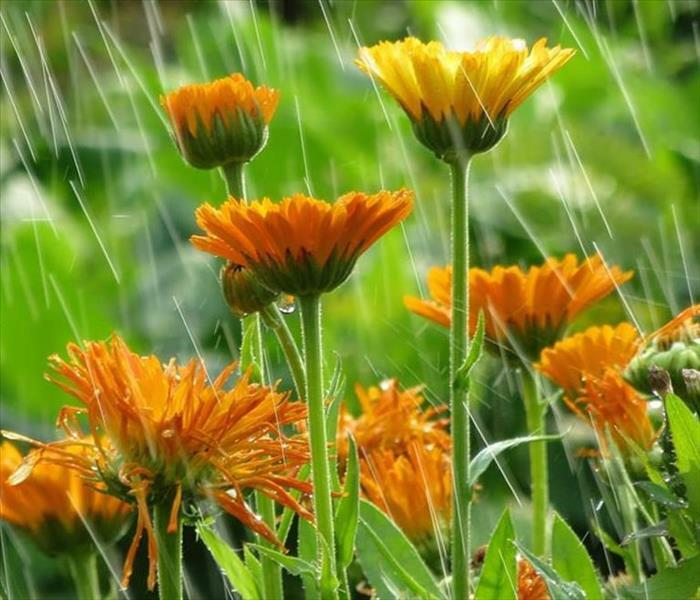 SERVPRO of St. Mary's and Calvert Counties knows the excitement Spring brings and want to make sure you are fully prepared for what the weather could bring. Check Roofing: carefully inspect your roof to locate any damaged area or areas that look susceptible to leaks. Check Door and Windows: make sure no water can slip through the cracks of your window sills or under your doors. An easy fix could be purchasing waterproof sealer. Clear Gutters: gutters tend to get clogged with leaves and debris stopping the water being able to flow proper off the roof which can cause flooding or even in caving your roof. Check your gutters every couple of weeks, especially after a storm bringing a lot of rain and/or wind. Garden: heavy mulch or hay along your property helps reduce the effect rain has on soil. Here at SERVPRO of St. Mary's and Calvert Counties we want to quickly Cleanup and Restore any small disaster before they become a big disaster. SERVPRO is always here to help. In result of an emergency or a simple question give us a call! What Can SERVPRO Do For You? Did you know that SERVPRO has over 1,700 Franchises in the United States and Canada!? Or that SERVPRO is a trusted leader in the restoration industry and are the preferred vendor for many National and Local Insurance Companies!? Our highly trained restoration technicians are dedicated to responding faster to any disaster. We provide 24 hour services with experts that are highly qualified and trained to properly take care of your cleaning and restoration needs. SERVPRO of St. Mary's County is honored to be heading to Las Vegas, Nevada for the Crawford Contractor Connection top performer symposium. 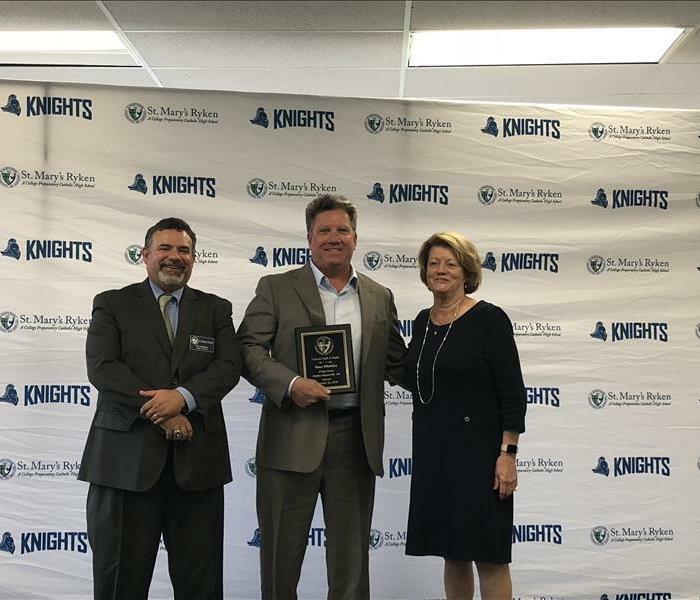 SERVPRO of St. Mary's County has been a member of the Crawford Contractor Connection network for over 15 years and this is the first time the Top Performer award has been received. 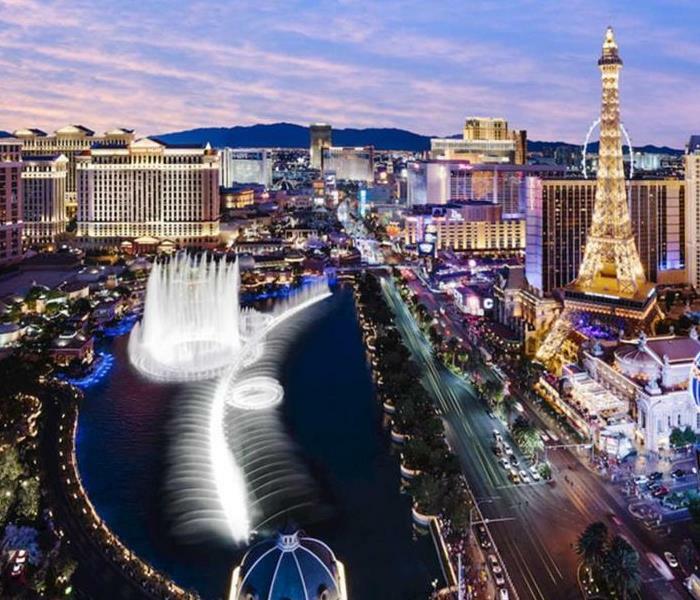 Our General Manager, Chad Day, Will be flying to Las Vegas for a two day seminar and round table discussion about the industry and the services we provide. We are looking forward to the opportunity to spend time with other top performing SERVPROs which will allows us to further expand our knowledge base and improve the level of service we can provide. SERVPRO of St. Mary's County is excited about any opportunity that helps us make it "Like it never even happened." 4/12/2019 - Is That Thunder You Hear in Southern Maryland? 4/11/2019 - What Should You Do If A Fire Has Happened? 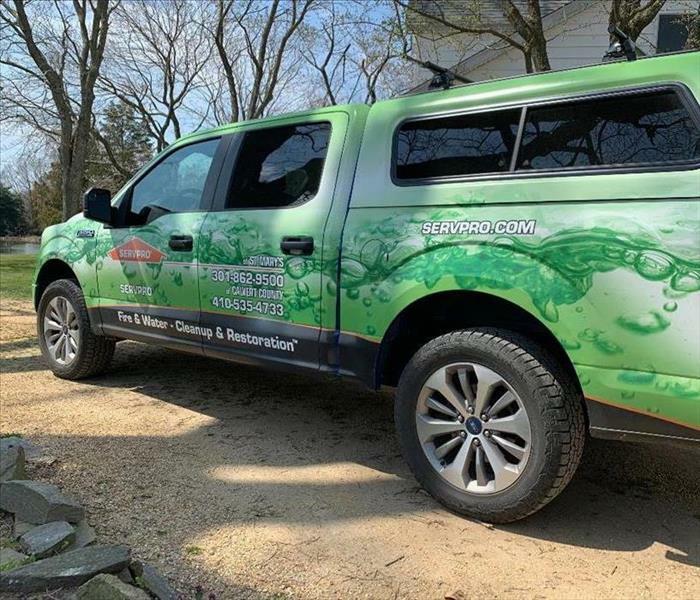 4/8/2019 - What Can SERVPRO Do For You?